After several years of botching my New Year's Resolutions a couple of weeks into January, I decided to take a different approach. Now, instead of listing feeble intentions, I develop a theme for each New Year. This method gives guidance and direction, without the pressure of impending failure hanging over my head. Yep, that’s it. Simple and sweet. Listen and Do. You and I have been given two ears and one mouth. That’s because we’re supposed to listen twice as much as we speak. However, I've discovered that talking is easier than hearing. Listening is far more difficult than explaining. Why is it so hard to listen? Consider this. We speak at 100-150 words per minute. We are able to comprehend at 250-300 words per minute. We think at 600 words per minute. So, if you are a fast thinker (600 wpm) and the other person is a slow talker (100 wpm), you still have 500 words per minute left over for thinking about other stuff. For efficient folks, that’s a lot of wasted communication space. Therefore, fast listeners zones out, and end up thinking about things besides what the other person is saying. When someone zones out, they respond like this: “uh, huh”, “Yes, dear”, “I don’t know” – all the while, filling up the empty communication space with other thoughts. True listening is hard work! Declaring 2013 the Year of Listening, doesn't mean listening to the 100 words and then zoning out. Instead, it means listening to the 100 words – really hearing those words – processing them– seeking to understand the depth of those words – thinking about them words – mulling them over! As Margaret Wheatley said, “Listening is such a simple act. It requires us to be present, and that takes practice, but we don’t have to do anything else. We don’t have to advise, or coach, or sound wise. We just have to be willing to sit there and listen." 2) Do:But we can't just stop with listening. We need to do something about what we hear. We won’t make any progress if we let the communication flow in one ear and out the other. A lot of folks spend tons of time thinking and discussing, but don’t get around to doing anything about it. They spend too much energy “chewing the fat” and not enough “burning it.” It it is far better to be a doer than a hearer only (James 1:22.) I believe in a practical faith. That is, a faith that you can put into practice every day. It’s action oriented! Life is about action. What we do is more important than what we say or think. Annie Dillard said, “How we spend our days is, of course, how we spend our lives.” It’s better to attempt something and fail than to attempt nothing and succeed. A friend once told me that Divine guidance is like a rudder on a boat. If the boat is tied to the dock, the rudder is not much help. Unleash the boat, however, and set sail – then the rudder does its work! You have to be moving in order for the rudder to operate! You might even start by moving in the wrong direction, but the rudder will guide and correct your course. If you want to discover your destiny, you need to hoist anchor and set sail. In other words -- do something! "What in the world am I doing here in Ethiopia?" I wondered, as I bounced in the jeep with missionary doctor, Harold Adolph. Our motor vehicle was the only one in sight. Slowly, we navigated our way through a sea of pedestrians, ox carts, and chickens, down the deeply rutted dirt road into in the village of Soddo. It was just as if I had been plucked from the northwoods and dropped into a National Geographic documentary on Africa. Arriving at the clinic, we emerged from the jeep, and were immediately swarmed by hundreds of needy people seeking medical attention. Most had been waiting for hours to see the doctor. Many would have to wait much longer. I observed a grieving mother, holding a lifeless infant in her arms. She looked at me with pleading eyes. I looked away. The immensity of poverty and human suffering was absolutely overwhelming. Never, in all my life, had I witnessed such need, and felt so powerless to do anything about it. A grotesque begger approached me. One eye and most of his teeth were missing. The horrible stench was almost unbearable. He reached a gnarled, upturned hand towards me. I looked away, pretending he wasn't there. Dr. Adolph, observing our interaction, came up beside me. He smiled, reached in his pocket and gave the poor man a few coins. Then, with a caring touch, he spoke a few kind words of blessing. 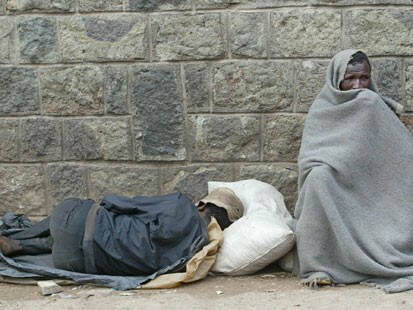 The beggar beamed, as if he had just been touched by Jesus. Maybe I witnessed a miracle. Later, back in the jeep, I questioned Dr. Adolph. "How do you do it? How can you find the strength to deal with this every day?" 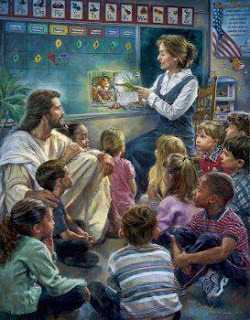 He answered, "I just try to remember what our Lord said, 'When you've done it unto the least of these, you have done it unto me'." And that day, I learned the difference between pity and compassion. Pity emphasizes the distance between people. Compassion, on the other hand, is a bridge of blessing that brings us together. 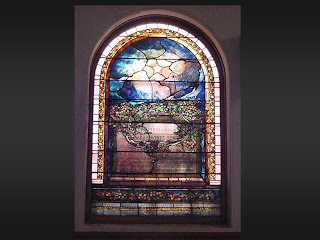 This Sunday, in keeping with our annual tradition, Hayward Wesleyan Church is going to do the longer version of the Wesley Covenant Renewal Service, which was first published by John Wesley in 1780. I've taken the liberty to adapt and combine a few versions of the Covenant for the pattern we're going to use. It guides the reader through reflective reading of Scripture passages, and meaningful prayer. There are several Bible reading plans to choose from. I've used this for a week now, and am really enjoying it. Still Thankful in the Cold. . .
"O Lord, we thank Thee that it is not always like this." "Don't worry about the world coming to an end today -- It's already tomorrow in Australia. come now my children, let me show you around." What Kids do in a Christmas Program. . .
2. We don't know if there were three of them. Tradition says so, but the only thing we know for sure is that they brought three gifts. 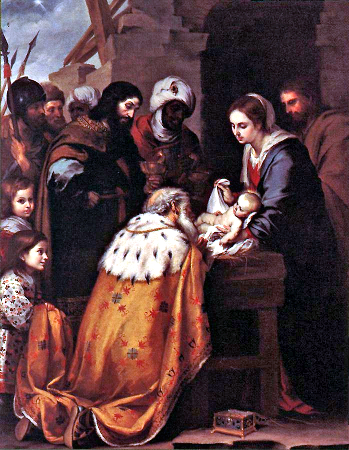 There's a whole lot we don't know about the magi. We have to use our imaginations to connect the dots and color the pages. However, I do believe I know the prayer these men held in their hearts as they journeyed to Bethlehem. In many ways, it's the same thing I hold in my heart today: a prayer with three parts. Sometimes in life's journey, we face perplexing and difficult circumstances. There are days when the darkness overtakes the light, the sorrow outweighs the joy, and the questions are louder than the answers. 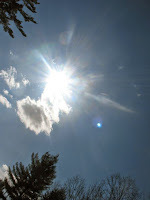 We are prone to wonder: "Where are you, God? I'm looking, and I can't find you." But he Christmas story reminds us that the Christ child is called "Emmanuel" which means, "God WITH us." Even when it seems like he is nowhere to be found. . . he is now here -- right here -- right now. He is with us. If you have a seeking heart, you will find Christ, because all along, He is seeking you! If you ask "where are you?" with an open, humble and honest heart, you will find the answer. You will see his star. It may not be exactly what you had pictured. You may not get a shout or a lightning bolt from heaven. Perhaps it will be just a whisper or small glimmer of hope. Look for the hope glimmer. Look! You will find it. Through the clouds, his star is shining somewhere, and it will guide you home. "The thrill of hope, the weary world rejoices, for yonder breaks a new and glorious dawn." "Jesus, you are the King of Life. It will trust you and submit to your will. You are my Guide." "Jesus, I turn my concerns into prayers. I believe you are good. You are my Helper"
Myrrh speaks of Suffering and Loss. "Jesus, I give you my griefs and sorrows. I know you are with me. You are my Healer." 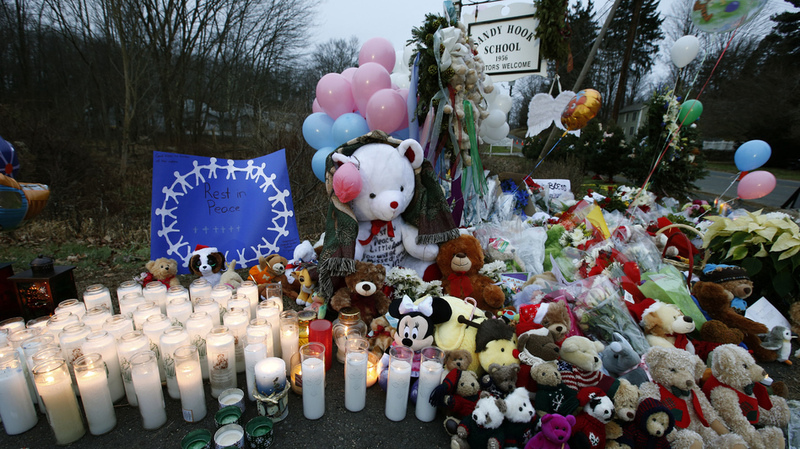 Last Friday's tragedy at Sandy Hook Elementary School, in Newtown, CT, left us horrified, confused and grieving. 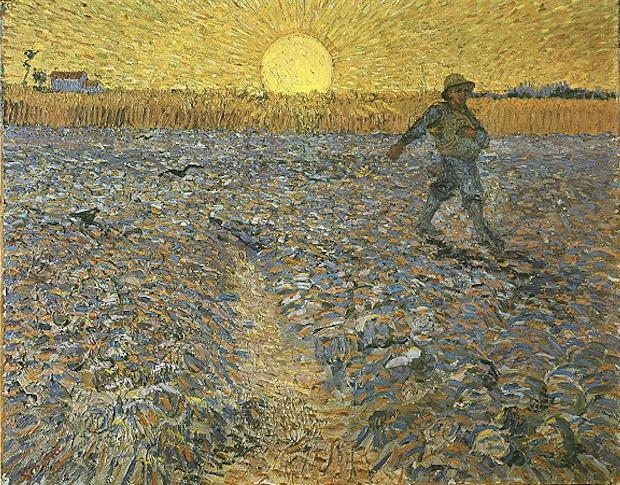 Poet, John Blase observed, "Of the things that befall us, this one pierces deeper, for the lost are the least of these. The killing of children is the killing of everything." We try to fill the void with our own feeble explanations. We look for someone or something to blame. Within the last 24 hours, I've heard several "reasons" (guns, violent movies and video games, bullying, national moral decline, family dysfunction, reduction of religion, etc.) but all these are mere smokescreens. We bluster and hide behind our philosophies, knowing deep down that they are lame attempts to make sense of the incomprehensible. All these efforts take us in circles, and we're no closer to understanding in the end. Our struggle to figure it out -- to come to grips with this senseless slaughter of innocence -- falls woefully short Reeling in the aftermath, the haunting question remains. . . "Why?" And the "Why" question is answered by dark silence. I'm reminded of a prisoner of war who was mistreated by a cruel guard. The abused prisoner cried out, "Why?" The guard grinned coldly and responded, "There is no why." Now, as a minister of the Gospel, my job is to believe there is an ultimate "Why" somewhere, somehow, some way. But frankly, right now I'm not seeing it. I don't understand -- and maybe I never will, this side of heaven. Though I hate to admit it, God doesn't owe me any explanation. But isn't this the essence of faith: trusting in the darkness, when you can't understand it? As Charles Spurgeon declared, "When you cannot trace his hand, you can always trust his heart." Over the years, I've dealt with a fair share of tragedy in my ministry, and have had several people look at me, as God's representative, wondering, "Why?" My bungling attempts to produce enlightening answers fell woefully short. When people ask me "why", I've learned to simply say, "I don't know." 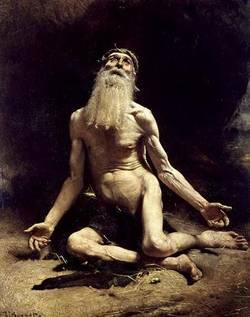 It doesn't do any good to give a theological discourse on theodicy (the problem of evil) or the philosophical foundation for suffering. "I don't know" is the most profound answer available. We ask why and there is no answer. In that oppressive silence, doubt sprouts. After all, we may wonder, if God is present, all powerful and full of love, then why did he allow this tragedy to unfold in the first place. Surely, he could have squashed that deranged young villain, Adam Lansa, like a bug, before the rampage even began. Yet in the silence, God whispers. If we are silent in the silence, and draw near to hear, we will discover something significant. Believing in the midst of doubts proves our faith. It's easy to believe when we have all the answers but the true test of faith is what happens when all we have are questions. If our question doesn't get an answer, maybe we need to start asking another question. Perhaps, instead of wondering "Why" we should begin asking "How", Who", and "What". * How can we get through this? Answer: One day at a time. One moment at a time. One breath at a time. * Who will help us get through this? Answer: God, who carries us, and our friends who care about us. We will make it together." * What can I do about this? Answer: Collective grief, such as we experienced last week, calls for some sort of action. If this had been a hurricane or fire, the rest of the nation would have rushed to Newtown with supplies. But this is a different type of disaster. We feel the need to help, but we don't know what to do. Here's one simple idea. I have a friend who is pastor of a congregation in the region where the shootings occurred. He is collecting sympathy cards for the grieving families. If you would like to bring a small word of support for them, you can fill out 27 sympathy cards, and mail them this week to: CrossPointe Wesleyan Church, 3 Bogardus Ave., Catskill,NY 12414 (or drop them off at the Hayward Wesleyan Church office). If we stop wasting our energy protesting and demanding to know where God was, maybe we can stand up and show where he is right now, through our acts of loving kindness. When Leadership Decisions Aren't Easy. . . 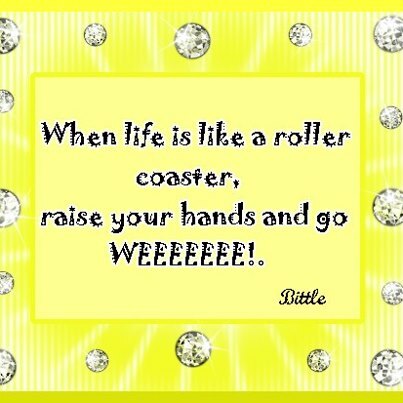 When Life is Like a Roller Coaster. . . I know some global, emergents will probably shriek about this, but we have an American flag in the front of our church. She stands, discreetly, behind the keyboards. Actually, I took a few hits for placing the Christian flag in that spot. One guy actually stopped coming to church because I disrespected the flag, by putting it in the wrong place. I feel bad about that now. For a while, we quietly "put the flags away", stashing them in the back corner of the church library. Nobody seemed to notice. . . at least that's what I thought. Then, in the emotional aftermath of September 11, the flags came back. We held a prayer service. Just as the service was about to start, Eddie, a grizzled old Korean War Veteran, emerged with the American flag in his hand, almost spear-like. He marched, wild-eyed, and with set jaw, like a determined Marine going off to war, right up the middle aisle! He sort of reminded me of Mel Gibson's Patriot. Quickly he strode across the platform, and plopped it down, triumphantly, to the right of the pulpit. What's a pastor to do? I didn't have the heart (nor the guts) to stop him. 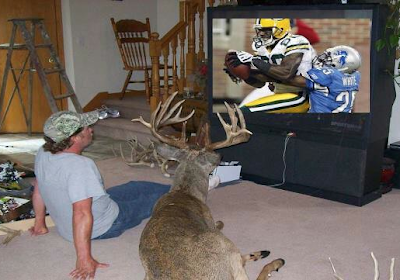 If I had tried, I think he would have speared me right on the spot!! So, I quickly ran back to the library and grabbed the Christian flag, brought it up to the platform, and set it to the RIGHT of the American flag! I don't think Eddie appreciated that too much, but at least he had his flag up front and we didn't have a war. And now, over a decade later later, they still stand -- unhindered -- except that the American flag has been nudged over to the left side of the platform. I figure, as long as World War Two and Korean Veterans are a part of our congregation, it'll stay that way. Some battles are worth fighting -- and some aren't. Remember the tortoise and hare fable?. In a head to head race, Mr. Hare started with sizzle, and, noticing his huge lead, decided to stop for a snooze. Mr. Tortoise, on the other hand, slowly plodded along. At first, he was left in a cloud of dust, but refusing to quit, he just kept putting one foot in front of the other. After a while, he waddled right past the napping hare, and crossed the finish line. His persistence, not his swiftness, made him a winner! Are you a tortoise or a hare? Do you finish what you start, or do you leave a trail of unfinished projects behind you? Sometimes, the people with the greatest talent lose life’s race because they are undisciplined, and unwilling to go all the way to the finish line. Oh yes, these folks have lots of great intentions, but little things just seem to crowd them out. Any expert in goal setting will tell you that to reach a big goal, you have to tackle it one step at a time. Achievement is not accomplished by a quick dash, but by a long distance run. Successful people are the ones who are willing to grit their teeth and keep going, regardless of the cost. Cicero, the great Roman orator, practiced speaking before a friend or a critic every day for thirty years. His investments paid off. William Cullen Bryant rewrote the classic poem, “Thanatopsis”, one hundred times. His investment paid off too! Of the nearly 250 papers that Einstein published in his lifetime, many were ignored and some were proven wrong. Did that stop him? No! He kept on working – kept on producing. His investment, as well, paid off. What’s keeping you from acting upon them now? What obstacles are you facing which must be overcome? Are you willing to keep going, even when things get tough? Are you able to honestly say these words? Keep on going, and soon you will cross the finish line. Michael Cheshire's post in CT, Going to Hell with Ted Haggard, struck close to the heart and went viral last week. It poses a haunting question: What should be our posture towards ministers who have fallen from grace? By and large, the church doesn't handle these situations very gracefully. I've seldom seen this done well. There is great wisdom, of course, in not short-circuiting the restoration process, but I wonder if there is a better, more compassionate path to wholeness. 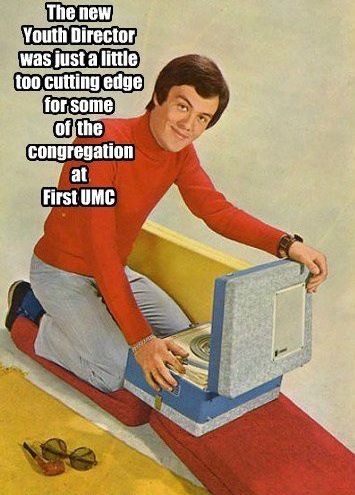 Several years ago, a dear friend experienced experienced moral failure, and was removed from his congregation. They put him through a punitive process of discipline which he honestly tried to embrace for a while, but like Ted Haggard, stepped away from it before the disciplinarians thought he was ready. 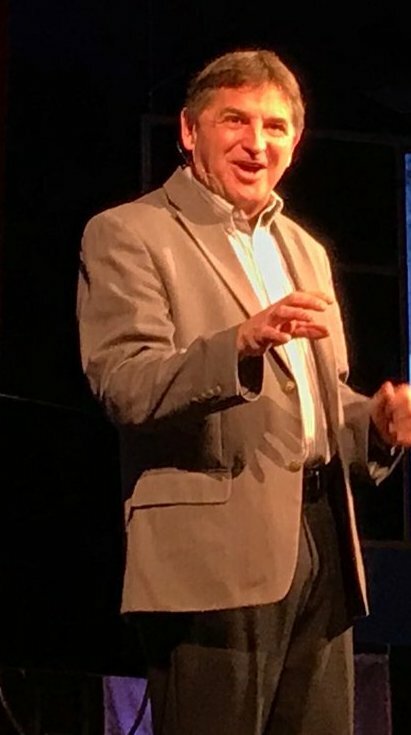 He ended up starting a non-denominational church in the same city -- and, quite frankly, for the last decade, has done a splendid job serving the Lord, extending His compassion and grace to those broken by sin. The Haggard article also reminded me of the time I spent an evening with the great prayer warrior, Wesley Duewel. He invited me to join in his prayer time, and I was impressed with the multitude of Christian leaders on his intercession list. He prayed for them all out loud -- by name. Dr. Duewel came to Leith Anderson and stopped to talk with me about him. "That good man carries such an enormous load as he leads the National Association of Evangelicals." "Yeah," I responded, "especially after what happened with his predecessor." "You know. . . Haggard"
"Surely you remember. . . the big scandal?" Then Dr. Duewel smiled and said, "Oh yes. . . I had put that completely out of my memory." And at that moment, I wished I had done the same. 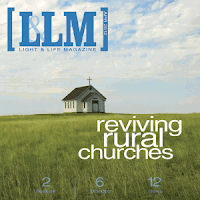 Rural Communities, Churches Becoming Less Relevant? Rural America, specifically farmers, are losing clout -- according to USDA Secretary, Tom Vilsack in a speech sponsored by the Farm Journal. "We need a proactive message, not a reactive message," Vilsack said. "How are you going to encourage young people to want to be involved in rural America or farming if you don't have a proactive message? Because you are competing against the world now." "It's time for us to have an adult conversation with folks in rural America," Vilsack said in a speech at a forum sponsored by the Farm Journal. "It's time for a different thought process here, in my view." He said rural America's biggest assets – the food supply, recreational areas and energy, for example – can be overlooked by people elsewhere as the U.S. population shifts more to cities, their suburbs and exurbs. "Why is it that we don't have a farm bill?" Vilsack said. "It isn't just the differences of policy. It's the fact that rural America with a shrinking population is becoming less and less relevant to the politics of this country, and we had better recognize that and we better begin to reverse it." I'm pondering. 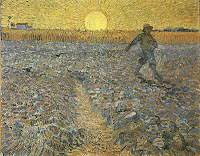 . . what are the implications of this for the rural church? In Wisconsin’s northwoods, all the Wesleyans walk on water. So do the Baptists, Lutherans and Catholics. Shoot, we don’t just walk on water – we drive on it! Every February! Each winter, little makeshift ice fishing villages pop up everywhere on area lakes. I’ve considered holding church out there on the ice, but the board hasn’t gone along with me yet. I figure we can convert a few anglers, drill a big hole, and baptize them with bungee cords. We’ll call it the Holy Jesus Polar Plunge! The first winter after my arrival from sunny southern California, I couldn’t believe my eyes, when I observed people driving their pick-ups on the ice, heading for their fishing shanties. In January, I just accepted it as natural part of tundra life. By February, I mustered up enough courage to join ‘em. But in a few moments, the panic subsided, as we found ourselves gliding across the solid surface. Realizing the ice was definitely thick enough to hold us, they relaxed somewhat. Zig Ziglar, the great motivational speaker, passed away last week at the age of 86. 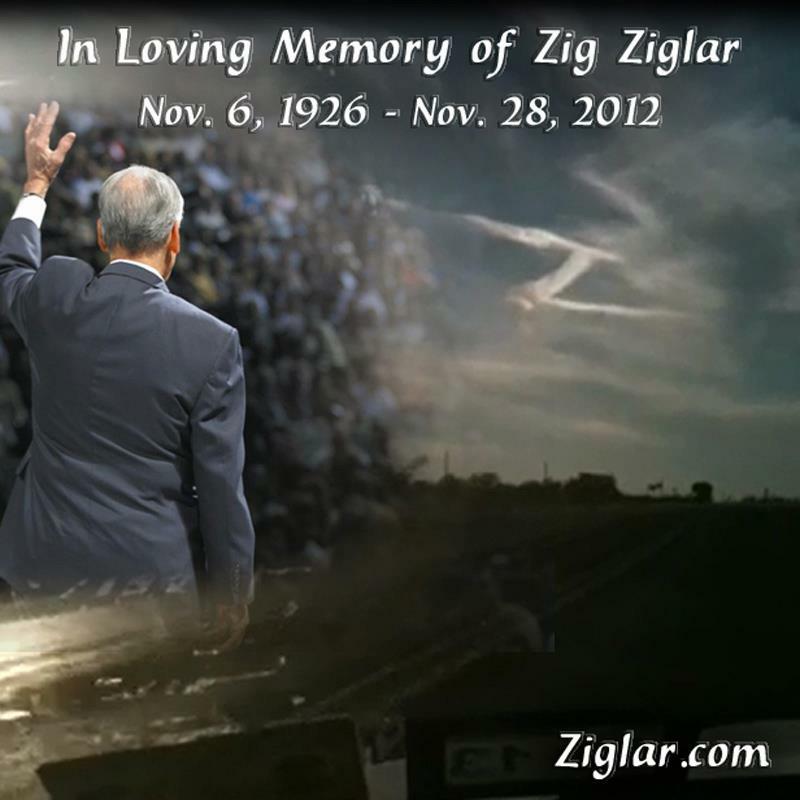 Ziglar was a great inspiration to me. Through his writings, I learned the power of a positive attitude, determination and faith. * Positive thinking will let you do everything better than negative thinking will. * Failure is a detour, not a dead end street. * A lot of people quit looking for work as soon as they find a job. * If you don't see yourself as a winner, then you cannot perform as a winner. * Every choice you make has an end result. * If you learn from defeat, you haven't really lost. * Every obnoxious act is a cry for help. * It's not what you've got, but what you use that makes a difference. * Failure is an event, not a person. * Expect the best, prepare for the worst, capitalize on what comes. * Many marriages would be better if husbands and wives clearly understood that they are on the same side. * The foundation stones for a balanced success are honesty, character, integrity, faith, love and loyalty. * Some adversity is what you need to face in order to become successful. * Money won't make you happy. . . but everyone wants to find out for themselves. * A goal properly set is halfway reached. * Mature love follows the principle, "I am loved love because I love." * It was character that got us out of bed, commitment that moved us into action, and discipline that enabled us to follow through. * See you at the top! Here's an article I wrote for Light and Life Magazine (Free Methodist) last spring, listing a few valuable things the rural church has to offer: Rural Church Relevance. Old Stumps Carry No Hopes or Dreams. . . Or Do They? Just an ugly old stump -- that's all it was -- and old stumps carry no hopes or dreams. Just an ugly old stump -- a dwarfed reminder -- of what once was. . . and all that might have been. Only scarred rememberings. . .
And hurried humans hardly take the time to do such things. Look again. Could it be? 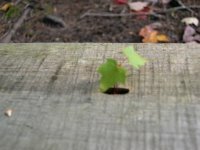 A tiny sprout of green? "The thrill of hope, the weary world rejoices, for yonder breaks a new and glorious morn!" Shortly before his untimely death, pitchman, Billy Mays was interviewed in American Way Magazine. He remarked, "I'm not going to let other people who may have a problem with me-the way I pitch--deter me because I have a lot to give and a lot to do yet in my life. I think there's a bigger platform out there for me now." "I think there's a bigger platform out there for me now." Those words haunted me. How often have I pinned my hopes on the platform I could stand on in the future, or the greater good I could do tomorrow, or the ideas I have for someday. 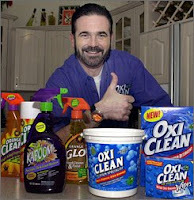 This simple interview with Billy Mays reminds me that there are no guarantees. My careful planning for tomorrow must not trump the influence I must seek to have today. When it comes to mentoring, coaching and discipling the next generation, this moment, now, is the most important platform there is. Take time now to give a blessing. Go to lunch today with someone who needs your encouragement. Be reconciled with others today. Make that phone call now. Martin Luther King was right: "There is a fierce urgency of now." Enjoyed doing an interview about my book, Filled Up, Poured Out this morning with Charlie and Keith on KLFC's "Good Morning Ozarks" radio program in Branson, Missouri. Listen online here. 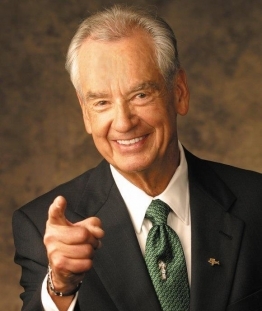 I was saddened today to hear that motivational speaker and writer, Zig Ziglar passed away after a brief bout with pneumonia. Through his inspiring writing and speaking, he helped me develop a positive perspective on life. 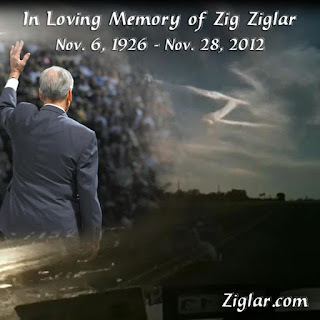 We'll see ya at the top, Zig! I saw an interesting sign on a box a while back-- "Warning, contents may explode under stress!" Don't you wish volatile people had labels like that? "Warning -- This person is stressed out and ready to explode!" Then, we'd all know when to steer clear! Of course -- from time to time, we'd all have to wear a label like that -- because stress is common to everyone. Life is stressful. The day you're free from stress is the day they carry you away in a coffin. We can't expect to be stress-free this side of heaven. Businessman, Malcolm Forbes recognized this when he said, "If you have a job without aggravations, you don't have a job." 1. Try to take life one day at a time. Poet Robert Frost said, "Just take things as they come, and handle them the best you can." 2. Remember that God is always bigger than your problem. Your mountain may be great -- but God is greater. Faith can move those mountains in your life! 3. If they don't derail you, your problems will develop you! 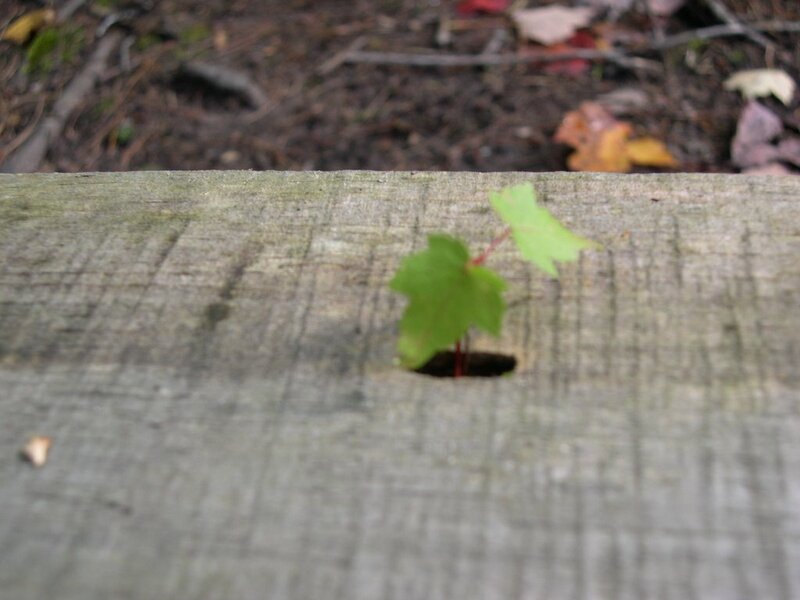 As long as you keep an open heart, you will grow through your painful situations. Refuse to retreat into a hard shell. Instead, with an open heart, face the situation and embrace what comes. 4. Use what you have. Don't worry about what you don't have. We must each paint our rainbow from the colors we've been given. 6. Don't allow dread and gloom to cast dark shadows into your life. 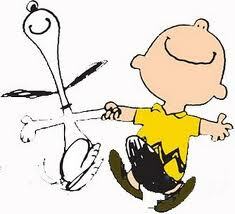 A lot of folks are like Charlie Brown, who said, "I've developed a new philosophy -- I only dread one day at a time." The more junk you carry with you from the past, the less likely you will be to experience a better tomorrow. 8. Think beyond the present situation. As Albert Einstein observed, "The significant problems we face cannot be solved at the same level at which we created them." 9. Never believe any problem is unsolvable! There's always a solution somewhere. This is always the FIRST and last option. If your problem is deep seated and long standing -- try kneeling! Reading Job this morning, I happened upon an interesting verse (10:1) which strikes me as profound: "I loathe my very life; therefore I will give free reign to my complaint." Frequent complaining reveal more about the condition of one's soul than the conditions (or people) causing such upset. Humans are created to be thankful. Deep in our hearts, we know we're supposed to be content. Unfortunately, envy, resentments, and various circumstances derail us along the way. Think about it for a moment. If you were to measure your uplifting thoughts of gratitude v.s. your mental visits to the "complaint department" during the last week, which would win out? Most folks would find that the complaints far outweigh the praises. Nobody is grumpy on purpose. We don't intend to be ungrateful. Discontent sneaks up on us and attacks us from behind. Often, we don't even realize when we are being a negative pain in the neck! 1) Declare war on petty negativism! As soon as you are aware of its nasty presence in your heart, evict it immediately and lock the door. Why keep that smelly skunk in the house? There are many things going right in your life. Focus on these, rather than the annoyances. 3) Refuse to compare yourself with others. The comparison trap breeds selfishness, self-pity and greed. Your mind broadcast the day's events either through Channel P (positive) or Channel N (negative). You get to choose your announcer. In our house, if someone is being a grouch, it's not uncommon for somebody else to say, "It's time to change to Channel P!" 5) Keep God at the center of your mind, and you will not dwell on the garbage. A person who habitually complains, gossips, and criticizes needs a spiritual tune-up! Thankful hearts and healthy souls are always found together. 6) Commit yourself to encouraging others. As you focus on helping others, your heart will be filled with sunshine! I've never met a negative encourager. When you encourage others, you give a gift to yourself. 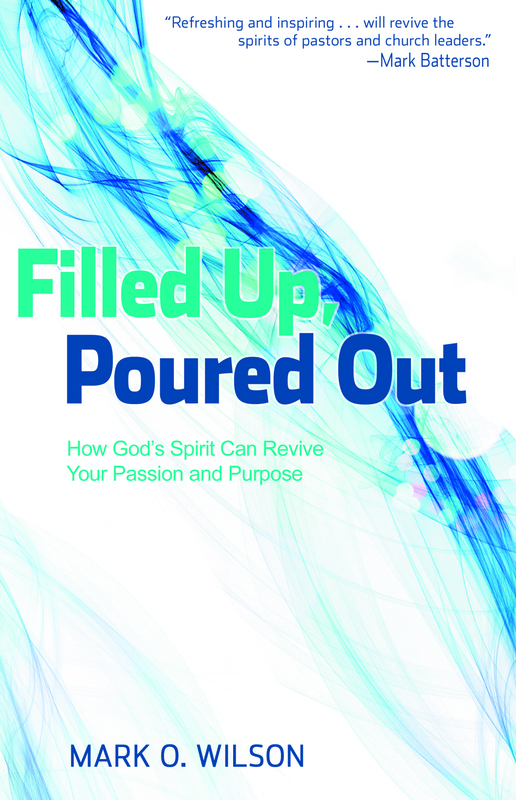 I referred to the following experience in my book, Filled Up, Poured Out: How God's Spirit Can Revive Your Passion and Purpose. It holds deep meaning for me.